This blog is all about keeping it real, fun & clean...oh & having real clean fun! I love to joke, so don't take it personal! And if you do, I can handle that too! We can get the debates crackah lackin'!! J-Quizzle doesn't hesitate when it comes to givin the bizzle! This blog is just as unfocused as the Blogger herself. Like a kid in a store, she'll touch on a little of everything, so get prepared for the ride!! I missed y'all last week, but I had to get up on it this week!! First things first...Ok. K.Michelle...hearing about your 'hot pocket' every week AIN'T HOT! Quit trying to make a story where there is none. No pun intended. If Jack Daniel's makes it work, then it works... Maybe you should just stop trying to give it away all willie nillie. Don't nobody want no 'hot pocket' that's been bitten out of by a bunch of random folks anyhow! Ask Jennifer from the Bad Girls Club! LOL!!! Erica & Scrappy broke up. SURPRISE! SURPRISE! Moving right along...---> I always forget about the fatal attraction that is DJ Crazy Girl & her baby daddy drama. "I didn't choose this life! You chose it for me!" with the OOGLY cry face...Yeah, her...He has moved on, honey. He does NOT owe you anything but to take care of y'all's son. He CAN have chicks...as many as he wants! I don't think he should have them around the boy but... When people breakup...they move on...At least, the sane ones do. He lied to you..Ok...What can you do about that now? Oh yeah...that's right...Give him $20, 000+ to invest in a sneaker shop cuz that's what most wounded baby mamas do. (Rolled my eyes so hard just now, I think I pulled my retina.) You're doing this to yourself, baby girl! Anyhoo...um, Mimi with the Comeback Kid. That hat he was wearing in the first scene...Yeah, the homeless guy on 53rd & Main called & told him to KEEP IT! HA!! Mimi done went & got her a Stevie S....Stevie the Sequel. He even tries too hard to exude swag like Stevie...Lickin' his lips n' TRYING to spit smooth game. Be thee aware, Mimi...If it walks like a Stevie & talks like a Stevie, it probably is a Stevie Wannabe. Then again, I think that's just how Mimi wants it. *Shrugs*...Really, Joseline...You gon' try n' fight that 'Ol' Lady'?? I believe Karlie! Benzino was lying up a storm with his no neck havin' self. Y'all see her hit him in the face with those earphones? If he had a neck, she would have hit him in the throat. He was stuttering & couldn't even look her in the eyes...Then again I think one of his eyes is lazy so maybe it was just taking a nap. Then him lookin' all special playing basketball with Rasheeda's boo thang...NOTHING BUT NECK...or not. 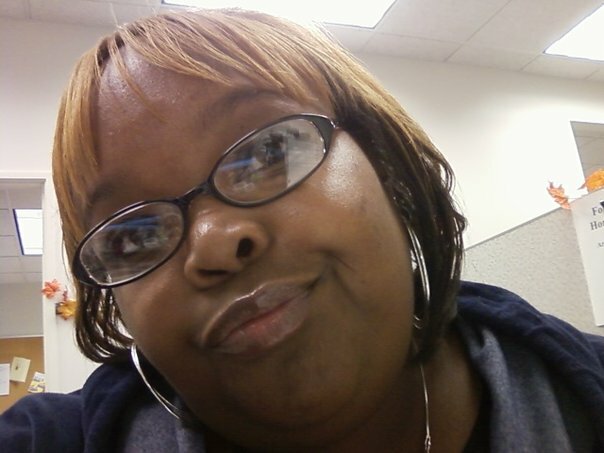 Teehee... Anywaysss...Joseline really thinks she has arrived how she was dissing that new bucktooth chick...Che Mack? Wait...she's not bucktooth no more...SHE'S GOT BRACES & LOST 10 LBS!!! Who does that?!? She not only sounded thirsty, she sounded famished...like it would take only 30 cents a day to feed her or something! SHEESH! Joseline was like, "Calm down! I don't talk to dee hep." HAHAHAAA!! She was acting like a straight up crackhead on Red Bull popsicles tho...Talking all fast & LOUD..."Is this the Puerto Rican Princess? 'xcuse me?!? 'xcuse me?!? Can I meet you?!?" Wow. She needed a shot of Ritalin or an open-hand smack to the face or something. 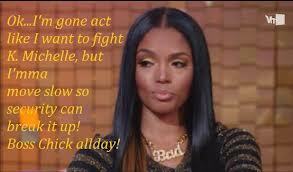 Stevie Jerk's gonna hit it tho...Soooo...Poor Rasheeda & Kirk...They're goin' thru...& now she's preggors...SMH! Ain't she like 45? They got grandchillun's n' thangs!! I think this was done purposefully so she could be relevant on the show...Cuz she def wasn't before. She was like I ain't makin' no diss record, cuz K.Michelle too quick a wit for me...But I WILL get pregnant since I know her hoo-ha is on the fritz! LOLOLOLOL!!!! Just kiddiiiing! I wish the best for their family. By the way, Rasheeda, 'agreeance' is NOT a word! SMH! Welp...like Kirk's 4 earrings were on last night's episode, I'm OUT! HOLLAAAAA!!! Love (LOST) & Flip Flop Rundiz-ny-eeee! Y'all know how I do...The most irrelevant first. Really Karlie??? You still tryna do the thug-thizzle when you're like 58??? Please stop...Then your cheerleader is Rasheeda? Are you serious? The 'rundown Chillee from TLC' ? What K.Michelle say? "She needs to stick to the rivers and the lakes that she's used to!" LOL!! I am still weak off that! HA!! Karlie, you need to stop chasing waterfalls too, granny, 'fore you go n' break a hip or somethin'...mmkay! Speaking of Rasheeda...All that mess K.Michelle was throwing at you...BEFORE the candle, I mean...& when she said your husband had 3 earrings, THAT'S what made you leap, frog?? You know K.Michelle been abused, she ain't for awladat walkin' up on a soostah...She be havin' flashbacks n' thangs! You found out though when she waxed that tail...Literally. LOL! Then your hubby comeback is, "I got FOUR earrings! Learn how to count!" Oooooh....Good one, Captain Kirk, cuz the MORE earrings you have the LESS gay you are! SMH! And I ain't sayin' he's gay, I'm just sayin' his comeback was drenched in WEAK SAUCE! Anyhoo, Benzino...Are you really spreading lies?? If only you could stretch that neck like you stretch the truth, my man...SMH! I think Joseline deed a lah owf dangs buh Benzino wuss naw one owf deem, okay! She deed nah haf none owf hees beefcake! HAAAA!!! Mimi...every time she talks, all I hear is, "I'm an idiot! I'm an idiot!" Her mouth says one thing but her eyes tell a-whole-nother pansy-filled story! That rat-face joker put a spell on her or something. Joseline too...but I liked that Joseline ain't afraid to poke him in the cheek & withhold his 30%. LOL! These women....SMH!!! Then there's the special case that is Mama D. Even Scrappy was lookin' like, "I think my moms is really criz-ny-ee wit awl dis kingdom talk!" She is, boo! But the person who needed to pump their brakes this time was Erica! And she better be glad she did while exiting the garage in her lil red Mercedes, almost running over Mama D & her good striped skinny pants!! LOL! Really tho, Erica was over the top...I mean I know they edit some stuff but, it really looked like she went from 0-60 in 2 seconds flat & she was being extremely disrespectful. I understand Mama D had been disrespectful prior to this little dinner meeting, but they were supposed to be trying to resolve the issues & Erica came off combative from the start. Mama D did need to take a seat too tho with that trying to run back up in the house with her good hip...slow as ever, with that combo hop & limp...Please remember, Queen D, that you are OLD. You're never gonna be faster than a Hoveround with a flat, let alone SECURITY! Y'all see how fast Scrappy called off the engagement tho?!? Dude saw the door to the castle open & he was ready to gallop thru it, OK! His stuff was already packed in anticipation of a blow-up at Dinner With the Rats! "Bettah bring that ring back." 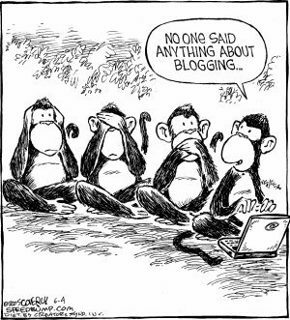 In one fail swoop that engagement was broken like Humpty-Dumpty after his fall! & all the Queen's horses & all the Queen's men... & GUARDS! GUARDS! OFF WITH HER HEAD! WHA-?!?! The Prince is back in the kingdom & on his throne, y'all! HAHAHAHAA!!! But for real...I can't help but to think about all that food that was wasted...& that cup of drink that Scrappy knocked over. You really showed that cup, Scrappy! You put dem paws on 'im! BWAHAHAHAAA!! 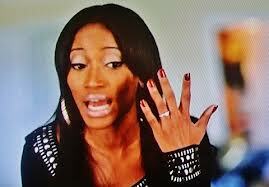 Well, let me make like Erica with that $20,0000+ ring & GET GONE!! HOLLA!!! So you are one of the brave ones...Come on in...I've been waiting for you!! Love(less) & Hoodbunnies FINALE Rundown Stevie J with his own 'bus'! Ratchetball Wives Rundooooown: Lazarus AKA Satan? BRAXTON BRRREAK-DOWN!! Who's Thirsty? Gabe & Andre...That's who...Hmmm...More like PARCHED!! I tend to look like this throughout the day...It's a twitch I get around 'speshul' people.